The incarnation is for us. It is not an issue external to our lives. The incarnation calls into question the meaning of our lives, indeed, what it means for us to be fully human and how we humans might attain fellowship with God. Whatever Christ does as the incarnate Lord is done for our salvation from sin. When He cries out on the cross in agony, He cries out to the Father for us. When He speaks from the cross, He speaks to us, telling us of death’s death. He prays before the tomb of Lazarus so that we might believe by hearing Him. The Father glorified Him in His death that we might know Him as the true God and eternal life. Him we confess to be the gloriously risen God-man. Whatever Christ does, He does for us. The words of Christ on the cross reveal the God who is for us. Jesus prays for our benefit at the tomb of Lazarus so that we might know Him as the only God, who came to give His people life. Sent by God, He sent to us and for us. “When He was about to restore Lazarus, He prayed to the Father. But what need had He of prayer, who said, ‘Father, I thank You that You have heard Me. I knew that You always hear Me, but I said this on account of the people standing around, that they may believe that You sent Me’ (John 11:41–42)? He prayed, then, for us, so that we may know Him to be the Son. The words of prayer did not benefit Him, but He said them for the advancement of our faith. He was not in want of help, but we of teaching. “Again He prayed to be glorified, and immediately He heard from heaven the voice of God the Father glorifying Him. But when they wondered at the voice, He said, ‘This voice has come for your sake, not Mine’ (John 12:30). The Father is besought for us, He speaks for us: may all this lead us to believe and confess! The answer of the glorifier is granted not to the prayer for glory, but to the ignorance of the bystanders. . . .
“He was born for us, suffered for us, died for us, and rose again for us. This alone is necessary for our salvation: to confess the Son of God risen from the dead. Why then should we die in this state of godless unbelief?” (Hilary of Poitiers, On the Trinity, 10.71). 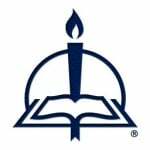 The Prayer of the Day is from Treasury of Daily Prayer © 2008 Concordia Publishing House. All rights reserved. The devotion is from A Year with the Church Fathers: Meditations for Each Day of the Church Year, page 193 © 2011 Concordia Publishing House. All rights reserved. 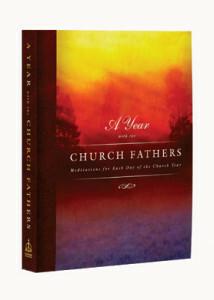 To order A Year with the Church Fathers, please contact CPH at 800-325-3040 or visit www.cph.org.